The 1950’s in America was a time for great change in the South. It was the start of desegregation. African Americans were finally permitted to move out of the ghetto and into nicer neighborhoods. The U.S. Supreme Court declared black and white segregated schools to be unconstitutional in Brown vs. Board of Ed. Thomas Mullen’s upcoming novel, Darktown, takes place right around this time period, in 1948, nearly four decades after the Atlanta Race Riot of 1906, and as the Jim Crow era was starting to wane. It centers around the integration of black officers into the Atlanta Police Department, the power struggles and racism that accompany it, and the lengths to which the white officers would go to get the black officers off the force, but also the lengths the black officers would take in order to find justice. There’s a lot of secrecy that takes place in the novel, a lot of police brutality by officers who feel that they are untouchable. But no one is really untouchable. Black officers Boggs and Smith are rookies on the force, as are the other six black officers that they work with. They’re both war veterans, although Boggs has never experienced combat. Boggs, being a preacher’s son and growing up in a well-to-do part of Darktown, always does the right thing, even if he wants to do otherwise. On the other hand, Smith and his family were directly affected by the riots, and he is not above getting his hands a little dirty every once in a while. There’s a camaraderie between the two, and, while they do judge the other on occasion, they always have each others back. White officers Dunlow and Rakestraw have a very different relationship. Dunlow, the senior officer of the two, has no problem frequenting the local brothel, making deals with the bootleggers, letting people off the hook, and beating black men in Darktown for no reason. Rakestraw, not yet seasoned, disagrees with the way Dunlow polices. Unlike Dunlow and the rest of the white officers, Rakestraw does not share the opinion that black officers should be kicked off the police force. He also feels that they shouldn’t be restricted in their duties, that they should be allowed to police their own neighborhoods. When a young black woman with connections to a congressman is found murdered, and it becomes evident that the case is not going to be handled the way it should be, Boggs and Smith take matters into their own hands, determined to solve the murder despite the consequences, and with an unlikely ally. As they start to uncover the truth, they also uncover corruption in the department that goes much higher than they could have imagined. With a tone that is reminiscent of HBO’s series The Wire, this novel is anything but predictable, and at times had me gasping in shock. It’s a great lesson into the history of our country, showing us how far we have come, but also, how far we still have to go in order to really rid ourselves of racism and the fear that it still instills. It also begs the question, how far would you go, how much would you be willing to sacrifice in order to find the truth. Darktown by Thomas Mullen. 37INK. September 2016. In Karin Tanabe’s newest novel, The Gilded Years, she weaves truth with fiction as she tells the story of Anita Hemmings, the first black student to attend Vassar College. 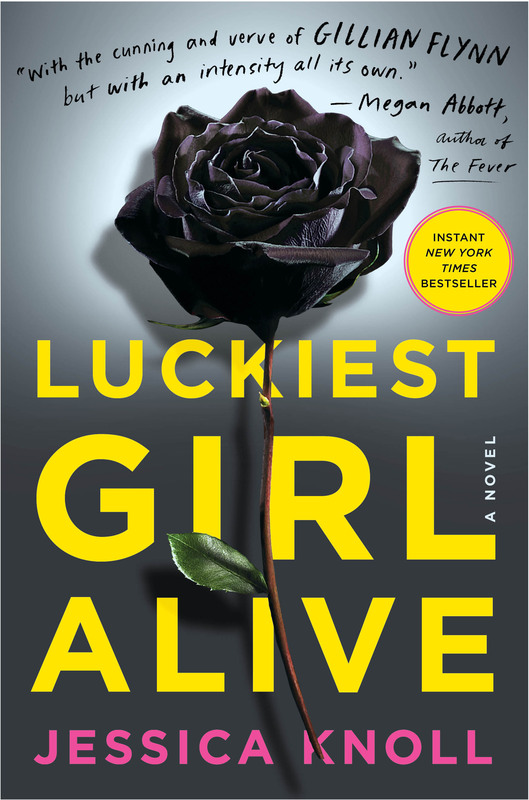 After successfully passing as white at Vassar for three years, and keeping distance between herself and her classmates, Anita enters into her senior year with the same plan in mind. That is, until she meets Louise “Lottie” Taylor, a member of a very prominent New York family, and her new roommate. Lottie draws Anita in with her infectious personality and the two become fast friends. But when Anita starts to let down her guard, Lottie discovers her secret threatening everything that Anita has worked so hard for. As a child of the 80s, it’s hard to imagine living in a time where racial segregation existed – even though I know that it did exist. It’s also hard to imagine having to go through life pretending that you are someone else, just to get something as simple as an education or a job. I think what makes this story so powerful is that Anita Hemmings did exist. And she did pass as white in order to be able to attend Vassar College. What would you do if you were living in a time period where the color of your skin hindered you from doing normal, every-day activities? What if we didn’t have these freedoms that we take for granted? These freedoms that our ancestors had to fight for. Not only is this a beautifully written novel (I’m SUCH a Karin Tanabe fan), but it also makes us aware of how far we’ve come, and appreciate the things that we have. I cannot wait for her next novel! It has been said that in order to grow as a person, you need to have experienced pain. Debilitating pain. Heart-wrenching pain. Pain from which the weak succumb to, and only the strong survive. Pain that changes your life. In Colleen Hoover’s latest novel, November 9, she explores the idea of life-altering pain and the affects that it can have on a person. The day that Ben sat down at Fallon’s table, subsequently walking into her life, she had no idea of the connection that they shared, or of the impact that he was about to have on her. Fallon was still in the thick of grieving for her old life, the one that had been destroyed two years ago to the day, when she was severely burned in a house fire. Fallon is a complicated person, but then again, so is Ben. They both live in the past but in very different ways. Fallon holds a lot of blame towards the person that she feels is responsible for the fire. She also has a lot of self-pity. She has made the fire into her identity instead of it being a tragedy that she was able to overcome. Because it was a tragedy. Fallon didn’t physically die that night, but the person that she had been did, and she has been struggling to get herself back ever since. When she meets Ben, she is able to open up to him and trust him because he is the first one to look beyond her scars and actually see the person beneath. I felt her devastation when she learns that Ben was the person who started the fire, but also her compassion when she learns of what he went through with his mother’s suicide. Ben has never been able to forgive himself for starting that fire; it’s something that he has held with him and constantly beats himself up about. He lives in his guilt and heartbreak over the injuries that he caused Fallon. Which makes complete sense that when he starts to write, all that he can come up with is the story of that night. With Fallon in his life, Ben is able to finally see beyond the fire. He is able to help her regain the confidence that she lost and start his own healing process. Both Fallon and Ben are flawed, and neither of them knows how to deal with their emotions, which is why they constantly hurt each other. At the end of the novel, I found myself wondering if I could have been able to forgive Ben, if I would have been strong enough to let the anger go. At the same time, would I have run out on Ben and not given him the chance to explain himself? I don’t know how I would react, and I think that is one of the larger points of the story: how much of your reactions are based on instinct and survival versus how much you can actually control, and how to distinguish between the two. Ben didn’t think about his actions when he set fire to the car. It was only after the fact, when the fire quickly became out of control that he realized the impact of what he had just done. I feel like Ben was always going to forgive Fallon in the end, because deep down, even though he had finally started to heal, I don’t think he will ever completely forgive himself. Some things you can never truly let go of. In the end, Hoover shows that you can still move on with your life even if you can’t forget the pain or the cause of it. Some pain stays with you…but that doesn’t mean that you have to stop living. 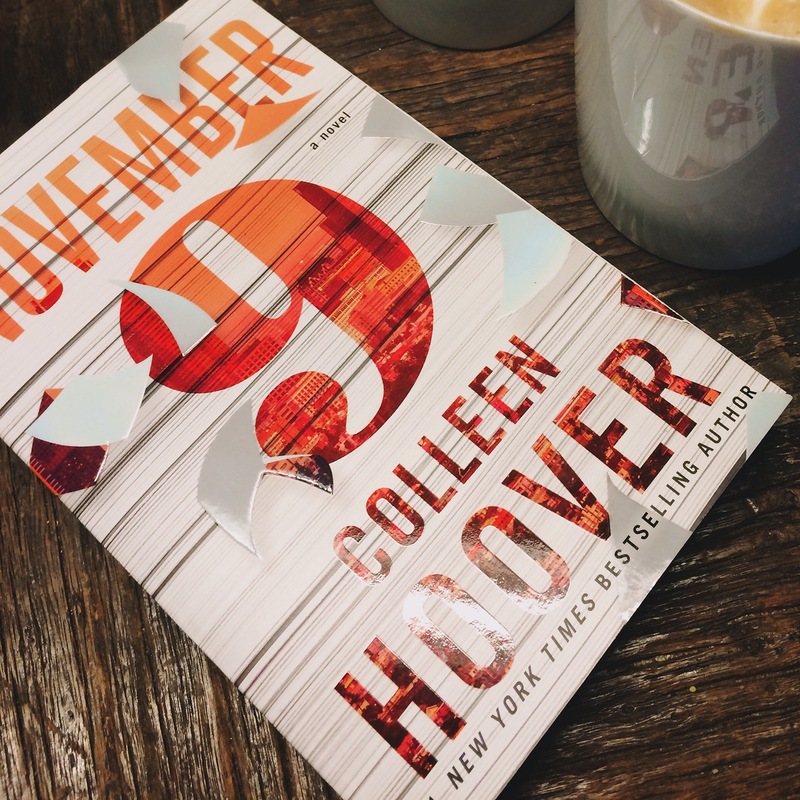 Colleen Hoover’s November 9. Atria Books.